Learn how to grow your organization, reduce burden on paid staff, and diversify your organization by recruiting volunteers. What does it mean to recruit volunteers for your organization? Why might you recruit volunteers? When should you recruit volunteers? Recruiting volunteers means asking people to work in your organization without pay. You can recruit them formally (asking them to fill out application forms, offering them a job title, etc.) or informally (by asking your sister to help build an agency float, for instance), or anything in between. You might need volunteers for a specific task at a specific time, or in a much more general role, for any help they can give. Recruitment does not have any set time limits -- you might recruit for a certain event, for a certain block of time such as six months, or for an indefinite period. It is helpful to seek volunteers who reflect the diversity found in the community, and who have ties with other community groups or agencies. Someone asked them. Most people respond when someone tells them they’re needed. They care deeply about the issues your organization addresses, and/or about social change. They have personal experience of the effects of your organization’s issues, and want to do something about them. Former gang members, for example, might want to be involved in an effort to reduce and prevent youth violence. They are motivated by their view of the world – because of religion, ethics, politics, philosophy, etc. – to try to improve the quality of life in their communities. They seek the external recognition and internal good feeling that may come with volunteering. They feel a need to pay back society for help or opportunities that were extended to them. Successful people who grew up poor in minority neighborhoods often return to those or similar neighborhoods as volunteers with youth, to try to reach children or adolescents who might have the same potential they had. They have untapped skills that they can use by volunteering with your organization. They want experience and/or training in your field of work. They might want to try out the work to see if it’s a career possibility, or they might want the experience as a credential for another kind of job. They actively enjoy the kind of work that their volunteering entails: it’s fun for them. They enjoy the social situation, and value the contacts with other volunteers, participants, and staff members. This is often true for people who don’t work outside the home, and don’t have the daily social contact that such work brings with it – seniors, stay-at-home mothers, etc. It makes them feel needed and useful. Recruitment, as the military will be the first to explain, is a sales job. Unlike military recruiting, however, volunteer recruiting offers no guarantee that someone will stick as a volunteer just because she’s signed up. Your sales job has to accurately point out the advantages of volunteering with your organization, so that people will not only be eager when they begin, but will stay enthusiastic and continue to volunteer for a long time. You have upcoming products, events, etc., with which you will need special assistance. You are expanding your organization's services. Your staff has become smaller or is not able to handle the amount of work you do. You are holding an annual "volunteer drive." During National Volunteer Week or any official national day/week that corresponds to your organization mission (e.g., a coalition that works to reduce tobacco usage might increase volunteer efforts before the Great American Smokeout). You need volunteers to staff a booth at a fair, hand out leaflets at a demonstration, help on a school field trip, etc. Determine the makeup of your community, and its community sectors. 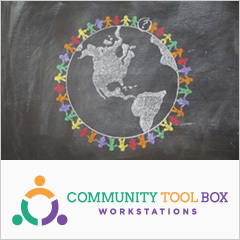 Some community sectors include schools, churches, neighborhoods, businesses, service organizations and clubs, youth groups, senior groups, media, grassroots groups, etc. Having a thorough understanding of the sectors in your area will help you to be aware of who is available as a volunteer in your community. It is essential if you wish to target your recruiting to a specific population. You might do this by simply asking current or potential local volunteers, or by looking for information from local and national studies on volunteers. Check with local researchers or a local volunteer center to see what data are available on volunteers in your community. 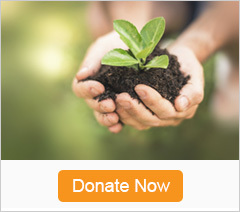 Hold an annual appeal for volunteers that is modeled after traditional fund-raising drives. Set up booths at local art fairs, carnivals, etc. Write letters to the editor in the local newspaper, or ask if you could write a guest column. Broadcast a PSA on a local radio or television station. Use personal contact with current volunteers and staff. (This is the primary way people become involved in volunteer activities). Ask current volunteers to participate in a presentation to another group that they are involved with (e.g., the Rotary Club, a church singles group, the health class at a volunteer's high school). Ask for help from existing volunteer agencies, local scout groups, the National Honor Society, or other bodies at least part of whose mission is community service. It is usually helpful to make a very specific request with a smaller request as back-up when the first option is not possible. (If you can’t volunteer regularly, can we call on you to help when we have a mailing to get out?) A follow-up call or letter can be very helpful for those who are uncertain. If people are uncertain, you may not want to push them too hard unless you feel strongly that they’d make good volunteers, and are simply nervous about the prospect. It’s not good for the volunteer or your organization if you talk him into something that he really doesn’t have enough time for, or that – as he’s told you – he really isn’t good at or doesn’t want to do. A potential volunteer may really care about your work, and may be a terrific person, but if he doesn’t have the time, energy, or talent for the volunteer job you’re suggesting, it’s better for everyone if he doesn’t accept it. Invite potential volunteers to meet staff members and other volunteers and get a real "feel" for the organization. Invite volunteers to observe and/or try out the volunteer job they’re interested in, with help from a staff member or experienced volunteer. Write a letter to potential volunteers – either a general letter, if you are recruiting a large number of people, or a warm, personalized note. Both types of communication should explain what your organization does, why you need help, and why you need their help in particular. Be flexible in scheduling, so that volunteers can work the hours that are most convenient for them, can work when their friends are working, and/or can work with particular staff members or participants. Show that you take volunteers seriously. Ask volunteers to sign a contract to work for a specified amount of time and to find replacements for themselves if they can’t make a scheduled volunteer commitment. Provide coordination and supervision for volunteers, so that they can improve their skills and performance. Emphasize how important their contribution is to the organization. Pick specific volunteers for specific jobs that you know they’ll like and be good at. Offer volunteers their choice of jobs, or, let the volunteers create their own job descriptions. Offer both initial and ongoing training and supervision. Provide opportunities for volunteers to assume leadership roles in particular projects or situations, and encourage and help them to expand their skills. Ask current volunteers to describe the benefits and satisfaction they get from volunteering, and compile their responses to give to potential volunteers. Include volunteers in any social activities – lunches, lunchtime card games, after-work gatherings, etc. – that occur when they’re volunteering. A diverse group of volunteers can broaden the range of opinions and ideas to which your organization has access. They bring knowledge of the cultures and circumstances of the population groups they come from, so that your organization will have a better understanding of those groups, and be better able to relate to them. Furthermore, they enrich the organization with their perspectives and the variety of their experiences and backgrounds. A diverse group of volunteers also makes possible heightened cultural sensitivity within the organization, and allows for the kinds of interchanges that make it possible for people with very different backgrounds to understand, respect, and cherish one another’s differences as well as their similarities. By encouraging diversity in your organization, you also increase its appeal; different ethnic and racial populations are much more likely to respond if they believe that your group has members who share a similar heritage. In promotional materials, conversations, etc., explain how your organization's goals are in keeping with the interests and beliefs of a particular potential volunteer's background and beliefs. Highlight the achievements of volunteers from different cultural groups in your local newspaper. Actively recruit a diverse paid staff. Make your agency an appropriate, comfortable place for potential volunteers to "check out." Offer opportunities for families to volunteer together. Many potential volunteers may speak English as a second language or not at all. Many potential volunteers whose socioeconomic status is low might like to volunteer, but are unable to afford related expenses, such as travel costs and child care. Potential volunteers from some ethnic groups, such as African-Americans and Hispanics, are often particularly sensitive to screening, particularly if they perceive the screening process to be a means of excluding them. If your agency does use an extensive screening process, make sure it is used both fairly and flexibly, and explain the meaning of each step of the procedure. Some of the things your agency does might seem strange to some ethnic groups, and will need additional explanation. For example, it may seem alien to some groups of potential volunteers to volunteer outside of their own church or faith. Some organizations or meetings may be located in places that are not wheelchair accessible, and assistance may not be available for blind or hearing-impaired volunteers. Volunteers may be the backbone of your organization, or they may simply make it possible to do an extra mailing or get the office clean. Whatever the situation, it’s important to take them seriously, recruit them as if you were recruiting paid staff, and treat them as an integral part of your organization. If you think carefully about what you want volunteers to do, explain accurately what the job entails, and provide some reasons for their wanting to volunteer, you’ll have no problem finding good people to help you, and to spread the word about your organization – and its volunteer opportunities – to the community. Bock, K. (1990). Volunteers: The hands, head, and heart of a shepherd's center. Retirement Research Foundation. Fisher, C., & Cole, M. (1993). Leadership and management of volunteer programs. San Francisco: Jossey-Bass. Furano, K., Roaf, P., Styles, M, & Branch, A., (1993). Big Brothers/Big Sisters: A study of program practices. Philadelphia, PA: Public/Private Ventures. McCurley, S., & Vineyard, S. (1988). 101 tips for volunteer recruitment. Downers Grove, IL: Heritage Arts. Roaf, P., Tierney, J., & Hunte, D., (1994). Big Brothers/ Big Sisters: A study of volunteer recruitment and screening. Philadelphia, PA: Public/Private Ventures. Schindler R., & Lippitt, R. (1974). The volunteer community. Fairfax, VA: NTL Learning Resources. Vineyard, S. Basic volunteer management training packet. Heritage Arts, phone (708) 964-1194 fax (708) 964-7338. Wilson, M. Recruiting and interviewing volunteers. Video and Audio Cassettes. Volunteer Management Associates. To order, call (800) 944-1470; for inquiries, call (303) 447-0558. A free catalog, "Volunteer Marketplace," is available on request.